Growing up I had a split personality. On the one hand, I loved smelling the tadlikos and spinaki that my great aunts would busily prepare in the kitchen during any family gathering. I loved hearing the stories about Macedonia, the "old country," that my grandfather and older relatives would tell around the dinner table. I loved the special "Non Komo Muestro Dio" (or Ein Keloheinu to most of you) that we sang for Shabbat. But on the other hand, I didn't like that I looked so different from many of my other Jewish friends, that I didn't know most of the funny Yiddish words they tossed around so easily, and that I still can't tell the difference between kreplach and kashka. When I was younger, I didn't know how to address my Sephardic culture outside of my family--it's not something kids talk about with each other, especially if you're the only one who shares your customs. I felt different, and sometimes lonely. Wouldn't it be amazing if we all grew up in communities where these differences are embraced but also known about? As I got older, I became increasingly aware that none of my friends had ever even heard of the word "Ladino" before. Did you know that in Israel, the government has placed so much value in the preservation of this critical aspect of Sephardic culture that they have set up an entire institute, "The Ladino Authority," and appointed a former president of the State of Israel, Yitzhak Navon, to lead it. 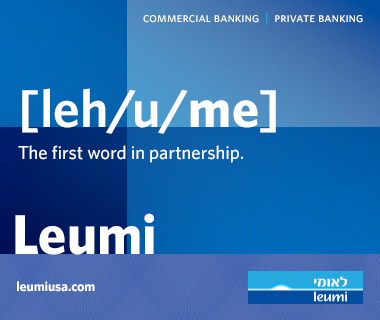 If only Jewish kids in America were even taught what Ladino is! A girl like me may not have felt so "other" as a child. We all come from families with amazing stories, in a country filled with immigrants. My story likely is not so different from yours reading this. My grandfather's family came to America escaping war. In his case, it was the Balkan Wars in 1911. The Balkans were home to a large population of Sephardic Jews who had found safety in the Ottoman Empire after the expulsion from Spain in 1492. Jews had lived in the region peacefully for over 400 years, but when the Ottoman Empire fell, my family in Monastir (what was then upper Greece, lower Yugoslavia) decided it was time to leave. They came to America with nothing, and they quickly wanted to find success in their new country. They did not teach their children many of the customs from the old country, save for a few family recipes and songs. Sadly, Ladino, the first language of my grandfather, and the beautiful pan-Mediterranean Sephardic language based in Castilian Spanish, did not get passed down. But luckily I grew up with the knowledge that our family history was precious and worth understanding. 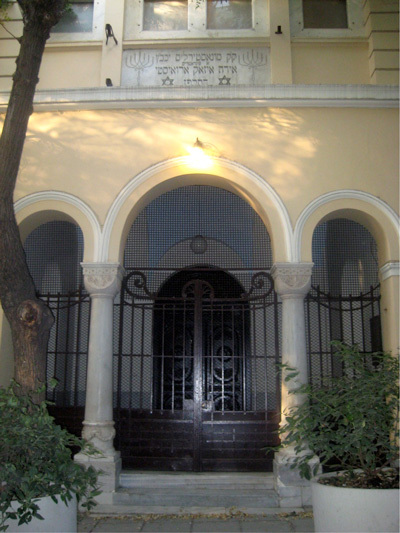 This picture below, of a synagogue in Thessaloniki, Greece that my relatives built in 1923, has stood for a symbol to me of why I need to share my story. Many people are not aware that Greece was the hardest hit country, in terms of percentage of Jews exterminated, than any other country during WWII. Greece? Yes, Greece. Eighty seven percent of the Jewish population, mostly all Sephardic, was murdered, higher than in any other country. While Thessaloniki was obliterated during the war, this one synagogue was left intact, as the Nazis used it as a Red Cross Shelter. It stayed standing. We are still standing. While the numbers of Sephardic populations are small, our stories are big and impactful. And I owe it to all my relatives before me who survived the Inquisition, and subsequent wars, to keep my Sephardic culture alive. Sephardic culture is Jewish culture. Just because I come from Sephardic ancestry doesn't make me "other." Whether you eat gefilte fish or huevos haminados during Passover, we're all part of a larger Jewish history. I want to know your family's stories from Russia, or Vilnius, or Vienna. And I hope that you will want to hear about mine from Greece, or Turkey or Serbia. We should get to know each other better; we're all part of the same Jewish family. Sarah Aroeste is a contemporary Ladino singer and composer living in Massachusetts. (www.saraharoeste.com). She will be speaking on "Sephardic Culture is Jewish Culture: Why Ladino Matters" on June 18th at WTTW11 in Chicago as part of the latest production of ELI Talks. Get your tickets to see her and five other speakers present their TED-style "inspired Jewish ideas" on new Jewish culture here.